My Dad & I never imagined our father son journey to visit all 32 NFL stadiums in 1 season would have turned into the mission it has today. This mission has helped us better understand the sacrifices that these brave soldiers make for us and has given us a huge appreciation for everyone who has served and sacrificed for our country’s freedom. My Dad and I are so thankful for the opportunity to show our appreciation by doing everything we can to provide a stress free day filled with fun once in a lifetime memories at events across the country for the brave men and women who give us the freedom to attend such events. We are also very thankful to everyone who helps us make all these warrior wishes come true too! 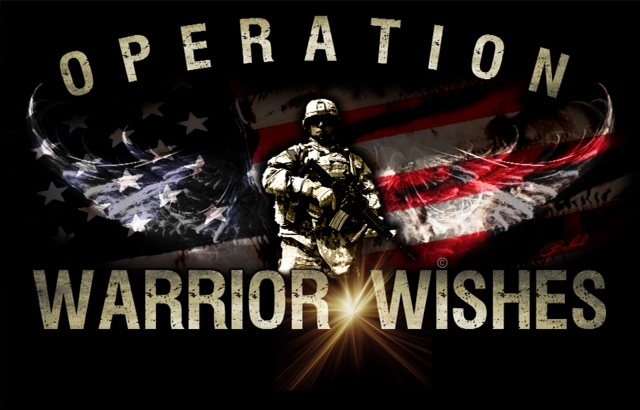 Operation Warrior Wishes hopes to inspire you by sharing these warriors stories and help give you a bigger appreciation for the service and sacrifices they make. We encourage everyone to get involved and make a difference!